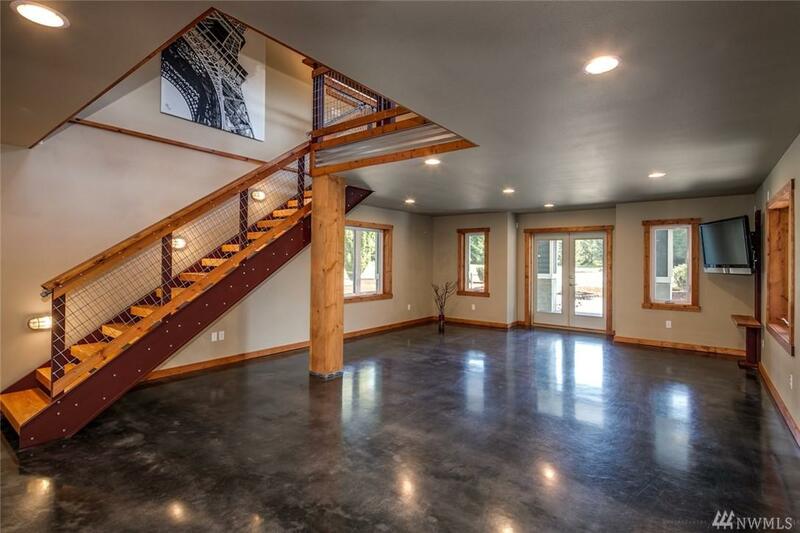 PNW contemporary meets modern rustic in this 2677 s.f. 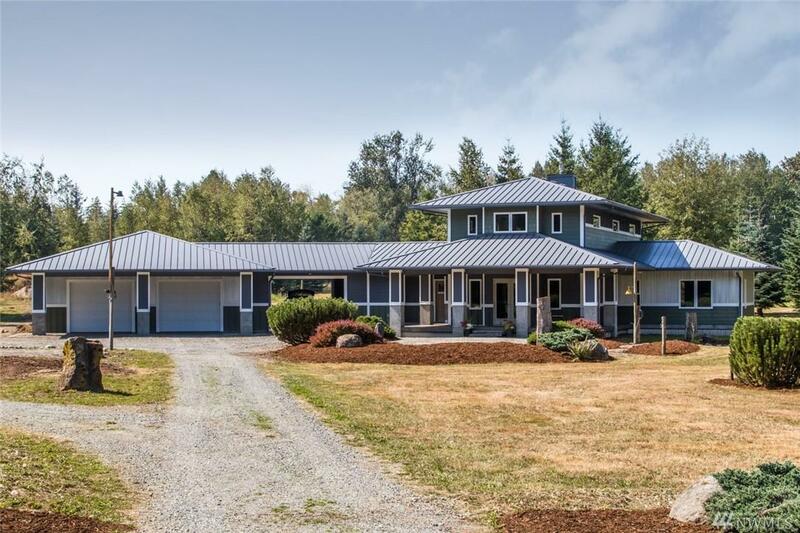 2bd (large upstairs bedroom could be two for a total of 3)/1.75 ba home on 8.5 acres. 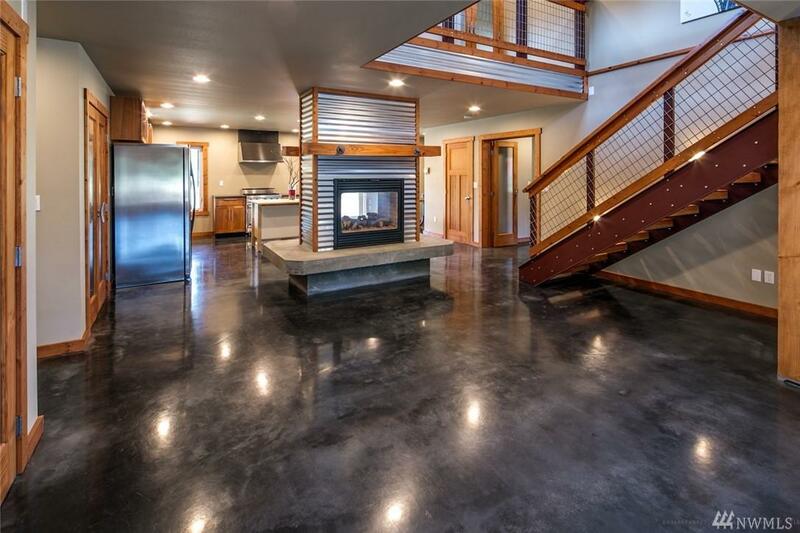 Polished concrete & southern pine flooring, solid core hemlock & fir doors, solid wood trim, metal railings, roofing & siding. In-floor hot water radiant heat (even in the attached garage! ), stainless appliances, light, bright & awesome! 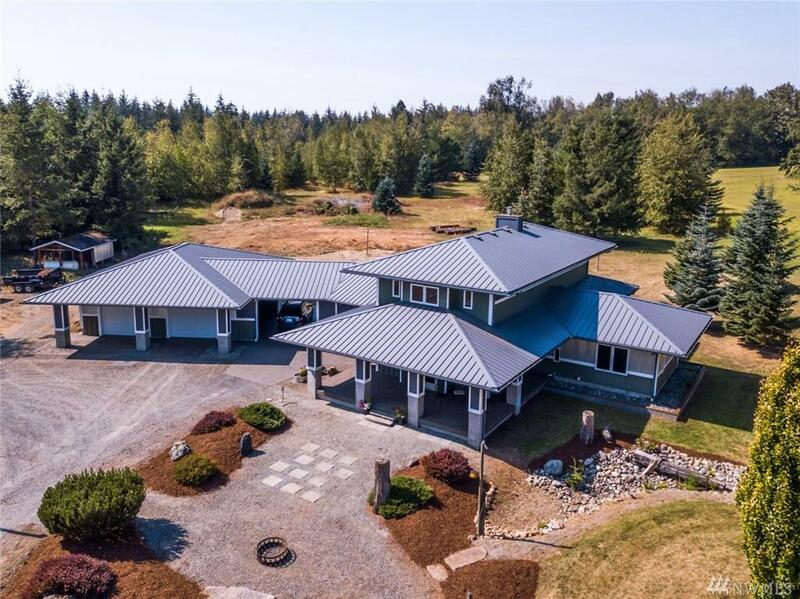 Oversized attached garage, 26x30 additional garage, & gorgeous 48x66 brand new barn w/it's own 200 amp service. Perfect!